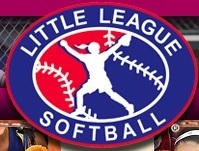 SAN BERNARDINO, Calif. – Jenna Thorkelson is proving to be the most dominant pitcher at this year’s edition of the Little League Western Regional softball tournament. Thorkelson hurled a three-hitter as Snow Canyon’s 12U team upset second-seeded Yuba City’s Peach Bowl LL 4-1 in a quarterfinal round game at Al Houghton Stadium. “We take it slow; pitch-by-pitch, inning-by-inning,” said Thorkelson, who allowed one earned run. Thorkelson had five strikeouts to increase her tournament-leading total (30) for Snow Canyon, the first Utah team to advance to a Western Regional semifinal. Utah’s 11- and 12-year-old champions advance to play Missoula, Montana’s Garden City LL at 9 a.m. PT Thursday. Snow Canyon defeated Garden City, 7-4, on the final day of play in Pool A.
Montana advanced to the semifinals as starting pitcher Grace Hardy tossed an 8-0 shutout over Oregon. Sydney McCall was 2 for 3 with two stolen bases and two runs, and Tyler Mooring had a double among her two hits for Snow Canyon, which scored twice in the first and once more in the second for an early lead vs. Northern California. Cali Niccum’s fourth-inning single drove in Peach Bowl LL’s only run, and Thorkelson otherwise stymied NorCal for her fourth victory of the tournament. “We’re learning that we can do a lot if we focus,” she said. Thorkelson (4-0) has walked just four batters in 28 innings at the Western Regional. If Snow Canyon can win in the semis, the squad would play in the Western Region championship game, which is scheduled for 6:30 p.m. Friday. Santa Clara Elementary says “GREAT JOB LADIES”. We are so proud of you! Not to take away a great accomplishment from our Snow Canyon girls team but you really need to set the record straight about printing that this team being the “first” to make it to Western Regionals. Not only did my daughters Snow Canyon team make it to Western Regionals 3 years in a row, they swept the tournament the final year and went onto the World Series to take 5th in the world. Still after 8 years, we are still very proud of the accomplishment of those girls.